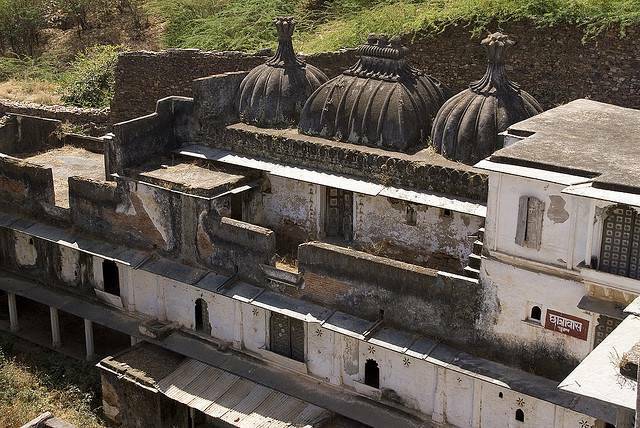 Situated on the foothills of the Aravalli Range, Juna Mahal, is popularly known as the ‘Bada Mahal’. Rawal Veer Singh Deo initiated the construction of the palace, with successive constructions and renovations taking place till the 19th century. The Palace is built on a high platform from the Darwa stone. The 7 storey high palace looks like a single unit as a single staircase runs through the palace. The most remarkable feature of the palace is the use of the local Parewa stone. The palace is extremely popular among the locals as well as the tourists because of beautiful paintings and Rajput style architecture. Window panes with detailed handwork, windows made from blue and green parewa stone, the glass and wall paintings in Mewari style done in various rooms and arrangement of broken glass pieces is unparalleled in whole world.